Wouldn't it be nice if there was a bike that you could rely on, whatever you wanted to use it for? We thought so too - and that's why we created the Cross Hybrid Pro Allroad. 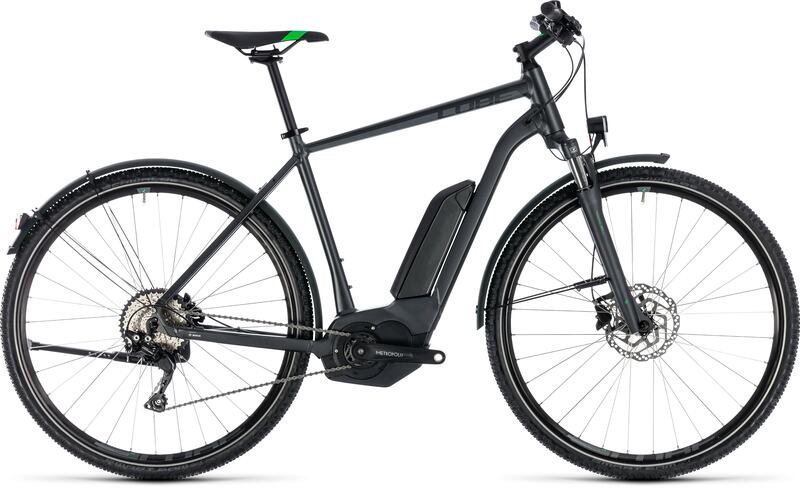 Whether you need a bike for the urban jungle or the open road, this versatile hybrid will make every ride a pleasure. The high quality, state-of-the-art frame represents the ultimate in riding safety, having passed all our stringent in-house tests. We fitted it with Shimano's wide-ranging and smooth-shifting 10 speed gears, a suspension fork for added comfort and powerful hydraulic disc brakes for safe stopping in any weather. 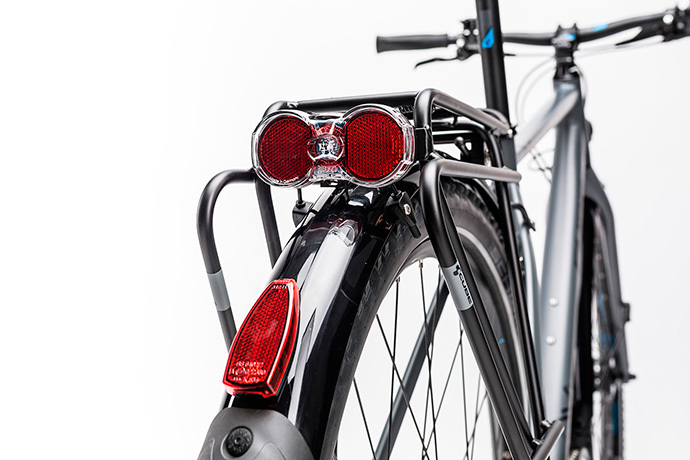 Then we added lights, mudguards and a kickstand - so you're as ready for anything as your bike is. headset FSA Orbit Z-t-R ECO, Top Zero-Stack 1 1/8" (OD 44mm), Bottom Integrated 1 1/2"
There are no shortcuts in the Cross Hybrid Pro Allroad's frame, which incorporates everything we've learnt from building e-tour and e-mtb bikes. 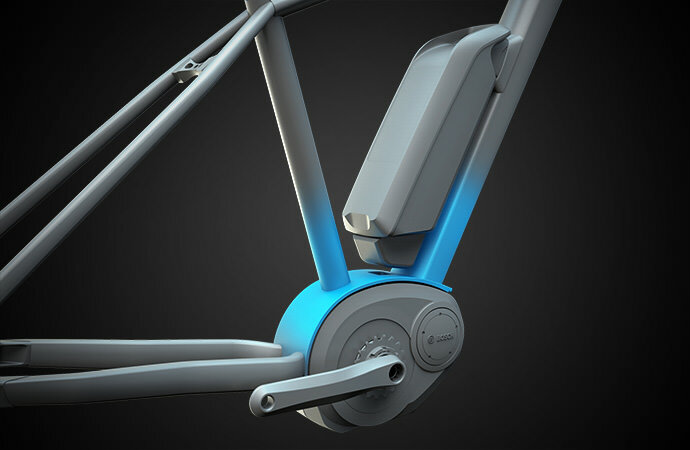 The gravity cast housing for motor and battery is immensely stiff and strong as well as being surprisingly light. Just as important, it positions the powerful Bosch battery and drive unit in exactly the right position for the best possible handling and performance - and you can even charge the battery without removing it from the bike, should you wish to do so. Whether you opt for the trapeze or classic men's frame option, you'll have the benefit of ingernal cable routing for clean gear shifts and greatly reduced maintenance. There are even built in rack mounts for added versatility. 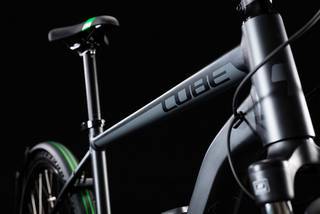 And, of course, the low weight and confidence-inspiring handling are exactly what you'd expect from CUBE. 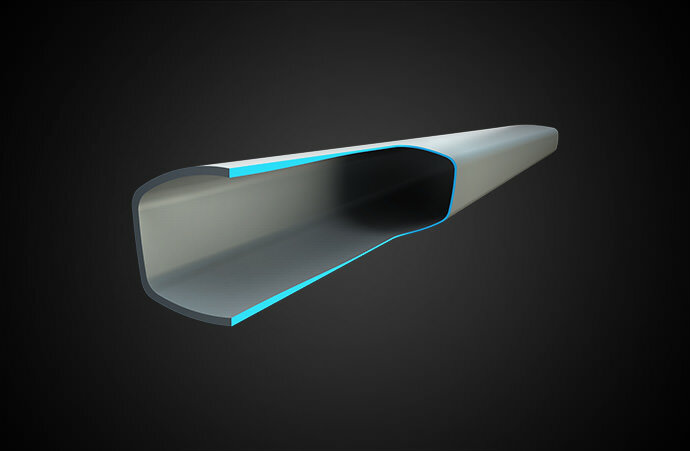 Extremely high tensile strength heat-treated 7005 aluminium alloy is developed for the highest requirements. It is very stiff, fatigue resistant, corrosion resistant and has high elongation. Our Superlite tubes are double butted, giving very light tubesets with a high level of stiffness. With our specially designed Efficient Comfort Geometry, long distances can be covered easily. Trips with the family, tours with friends or a journey of months - explore the world and life in a new way with our travel series geometry. 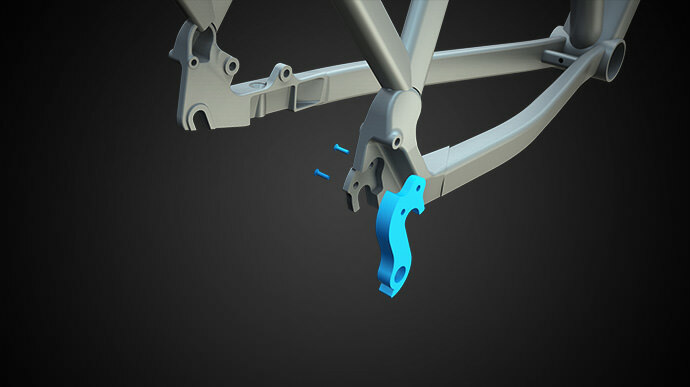 To protect our high-end aluminium frames from damage, they are built with the CUBE Frame Save System replaceable derailleur hanger. The mounting thread is in the hanger and not in the frame as usual. In case of a crash, this hanger can be easily and quickly replaced by a new one. This steerer tube design is stiffer than a conventional straight steerer and yields a more secure ride feel even in difficult terrain. Minimal flex at the front of the frame means the greatest possible steering precision. With the larger steerer, the forks become more rigid. 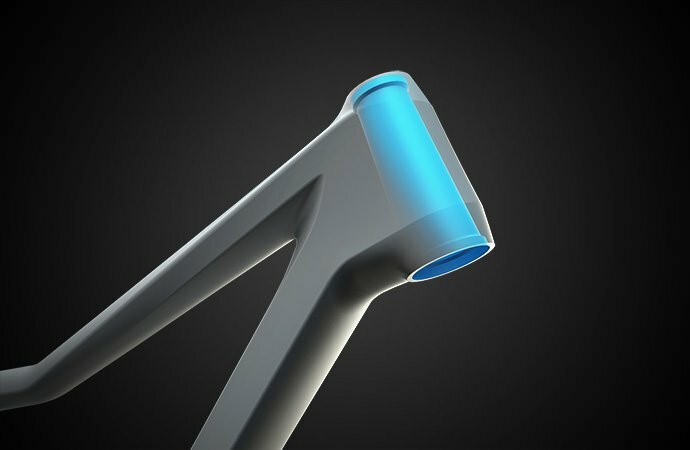 At the same time weight is saved due to the absence of bearing shells as the lower bearing is fully integrated into the head tube. 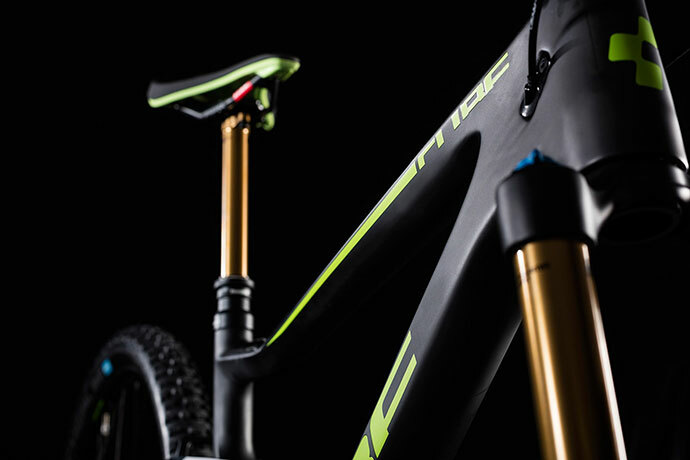 On all of our CUBE carbon models the upper bearing shells are also directly in the frame, so that once more a few grams are saved and the energy transfer is very direct. On polished, brushed aluminium and all HPC frames, the logos and graphics are applied in multi-layer wet paint. We use this surface treatment technology mainly to save weight. 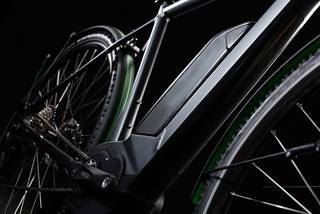 The “engine” is the critical part of an Ebike because of its weight and its junction to the regular drivetrain. 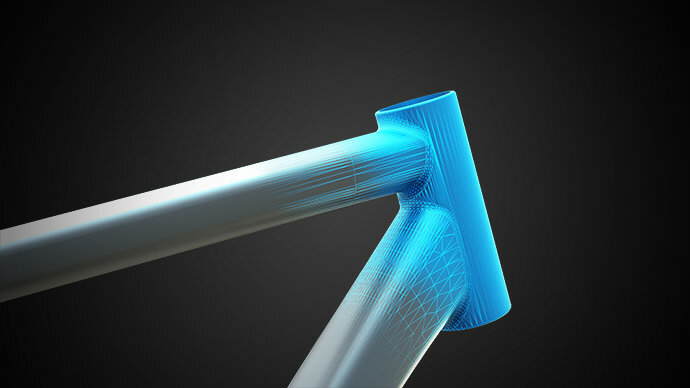 These factors present a real challenge for the frame design. 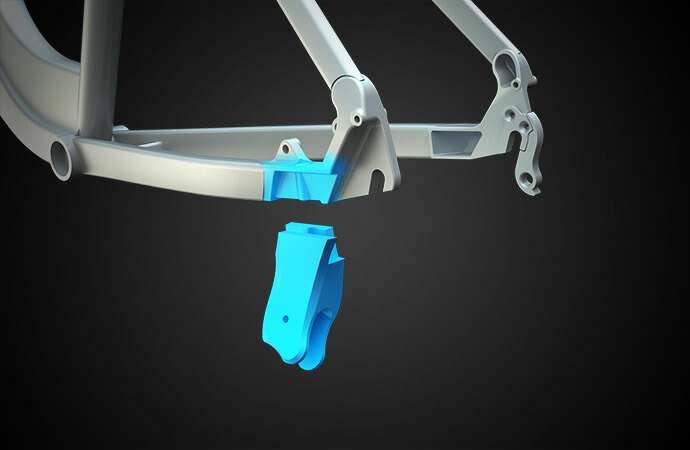 This is why CUBE developed an innovative new frame construction for the new Ebike generation: simultaneously being the cradle for the electric motor, the pivot for the rear link and the seat of the shock eyelet, the very complex area of the bottom bracket is made of two forged halves. The groove in the front section together with the specially formed down tube is home for the power pack which in this way has a very low position in the frame triangle. 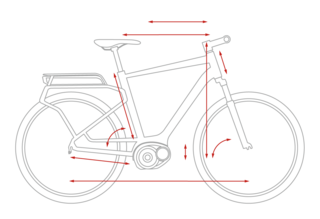 The positive outcome is an extremely low center of gravity supporting an agile riding characteristic while achieving a super rigid bottom bracket area. The Easy Mount Kick Stand is a new system developed and designed by CUBE. The base of the stand is mounted from below to a fitting plate integrated to the frame and fixed with a through bolt. This kick stand is extremely stiff and solid through the enlarged contact areas between base and frame which gives a stable stand even with loaded panniers. Internally routed cables offer many advantages. 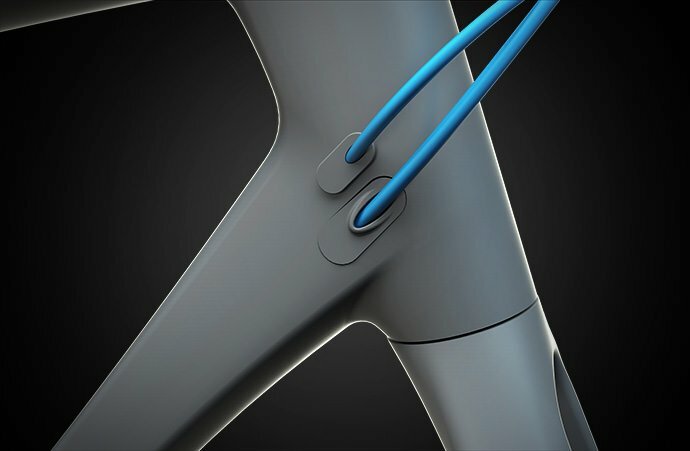 Cables are protected from dirt for longer life, weight is saved thanks to the absence of external housing and the bike has a clean, sleek appearance. to a better and more organic look due to the smooth and hardly noticeable welds. 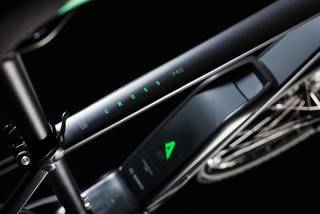 CUBE Bikes with this labelling fulfill all legal requirements and meet all safety demands according to the StVZO German Road Traffic Licensing Regulations. Lighting systems and reflectors mounted are tested and certified accordingly. These bikes take into account every security-related detail to guarantee safe and relaxed mobility in traffic.